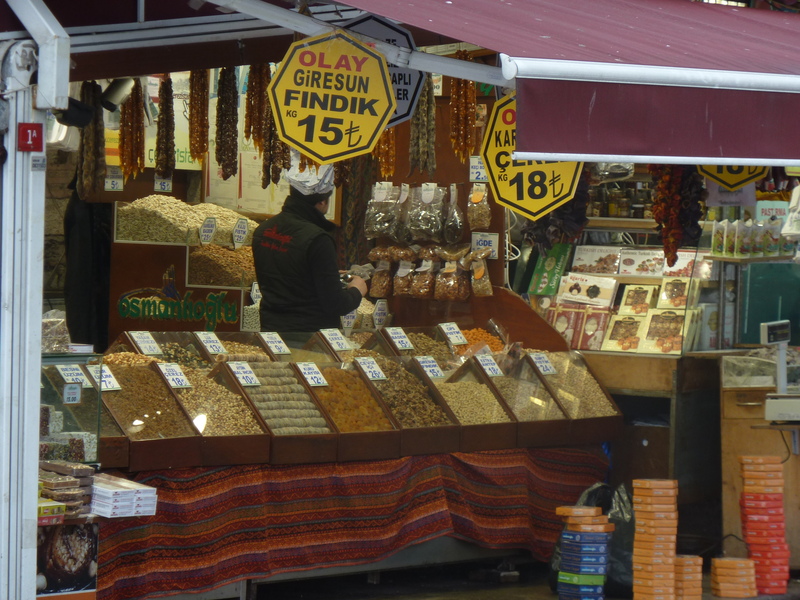 You can’t go to Istanbul without visiting the Grand Bazaar or the Spice Bazaar. Its a participation in history and quite an experience if you can deal with the crowds and the hawkers. 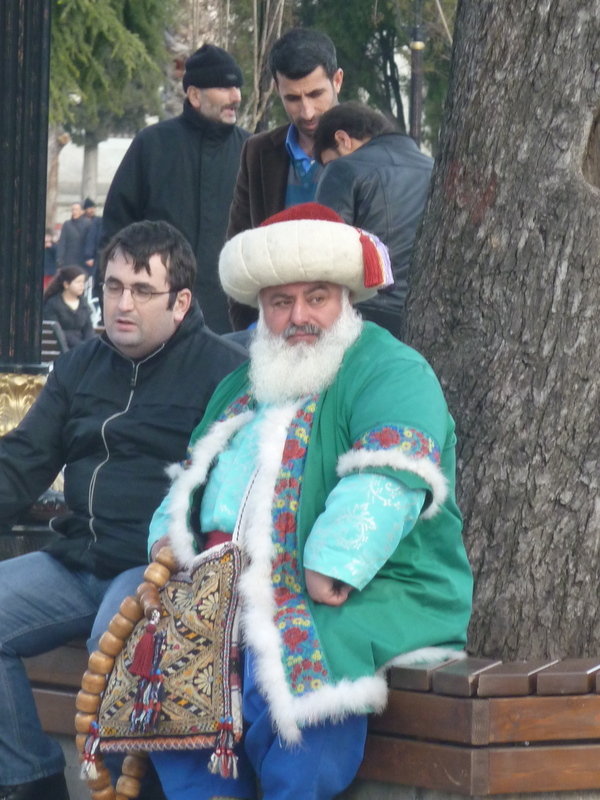 I LOVE textiles but just didn’t feel comfortable purchasing one in Istanbul. I went into a couple of shops just for the experience and it is an experience. You enter a stall/shop and there are no price tags on the rugs, it is mandatory that you sit down, drink tea, and have a vendor show you carpet by carpet for the style of your choice. I didn’t like it for two reasons, it is very time consuming process and I never felt as though I could trust the value of the carpet beyond whether I liked it or not. In one shop the carpet started out at $3000 and was less than $1500 as I was walking out the door. Nothing about the experience instilled confidence. 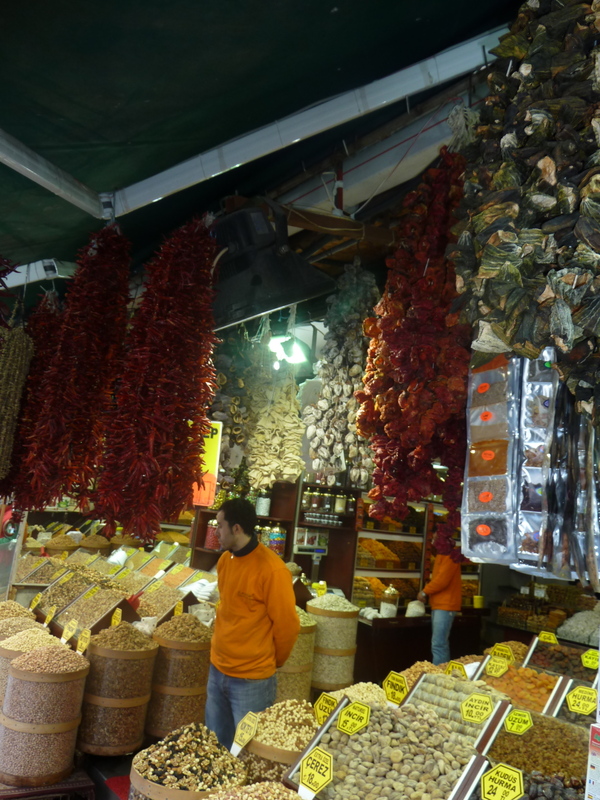 I loved the Spice Bazaar, it is part of the architecture of the New Mosque built in the 1600’s. It has grown to include more than spices over the years, but still a major center for spice trade and a prime destination for local shopping. So much energy! I must say that globalization has ruined part of the travel experience to some degree as so many things are now available in our own backyard. Why carry home all of the spices I can now find at Whole Foods, or Central Market right here in Texas?? 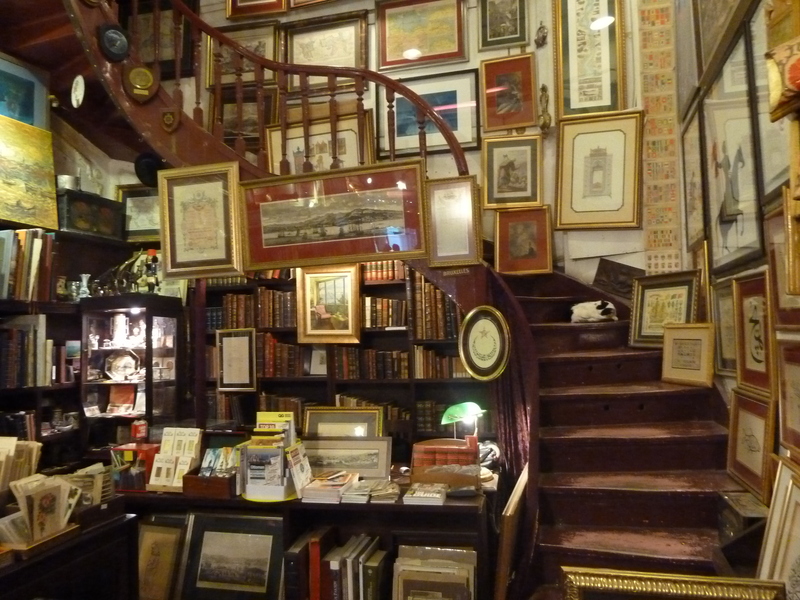 My favorite store (Denizler Kitabeva http://www.denizlerkitabevi.com, on Istiklal Caddessi 199a, Beyoglu, Istanbul) of the all that I saw on this visit was a beautiful, old fashioned storefront selling old books, maps, engravings and samples of local art. Its the kind of place you could spend time in as there was so much to see. The lovely woman who helped us had once moved from Istanbul to Santa Fe, New Mexico, one of my favorite places, but can’t image that was easy for her! Just down the road is a Nike Store and even a Krispy Creme, how awful is that? So when I find local gems like this store it is fun to just linger! We purchased one of the pottery pieces of the Ottomon Kaftans similar to those worn by the Ottomon Sultans made by a local artist Seyda Aksu (http://seydaaksu.com/duvaraksesuar.html) as our anniversary gift for this year. These were just beautifully made and painted. We chose one that was covered in pomegranates (similar to the one fourth from left on the bottom shelf of the display below) as they are native to this part of the world. Such delicious memories! Thank you Istanbul! Pottery replica of Ottoman Kaftans (similar to those worn by Ottoman Sultans) made by a local artist. 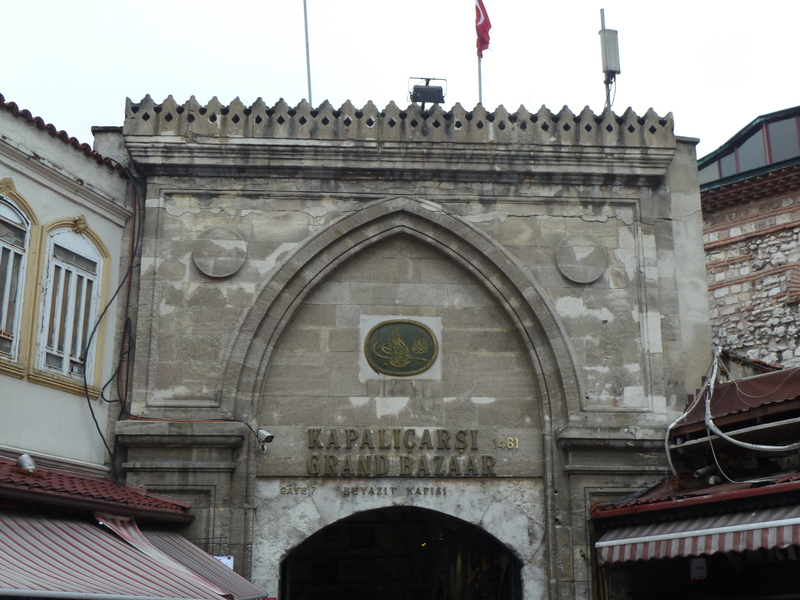 This entry was posted in Istanbul, Santa Fe, Shopping, Travel and tagged Beyoglu, Carpet, Denizler Kitabevi, engravings, Food, Istanbul, Istiklal Caddesi, maps, New Mosque, old books, Ottomon dress pottery, spice bazaar, Texas, Turkey, turkish carpets, United States. Bookmark the permalink. Beutiful pictures! Love it I liked it! Wonderful pictures, can’t wait to experience it and will make sure I keep away from the rug shops! I remember the same thing happening in India. 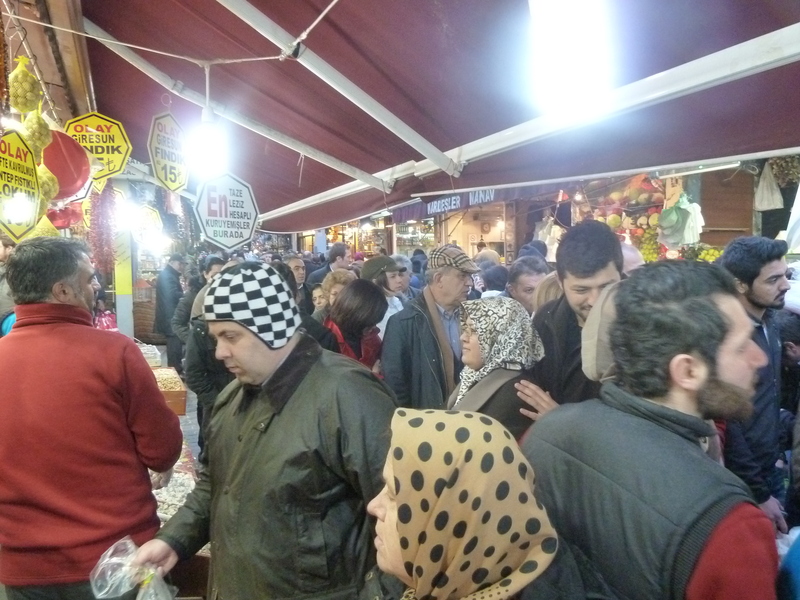 I had to laugh with your description of shopping for textiles in Istambul. Your descriptions are so real and accurate!!!! I had exactly the same experience, I can still see myself sitting down with a cup of tea, which I didn´t want or liked, feeling trapped, with the doors closed, with no escape from the situation. Hated that they did not have price tags on anything, but well, bargaining is so part of their culture and like we have all the time in the world to talk prices. The difference with your experience is that I ended up buying one. Never knew if it was a bargain or not. Loved each of your pictures and yes, so true that with globalization we need not buy spices or other stuff abroad, especially you with your Central Market, walking distance from your home. Reminds me of my brother Fernando and his wife Damaris when they went to India. They spent hours bargaining for a rug and ended paying what they thought was a real bargain, considering the initial price. It was a hassle to carry, to take it with them to several other cities they visited, to go through customs in New York and then to find exactly the same rug, at half price, in a NY shop! 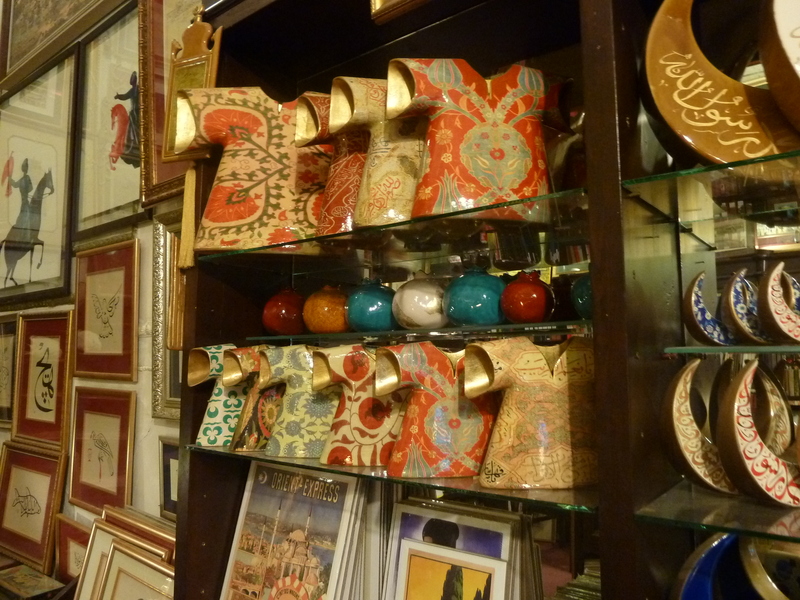 Loved the Denizler Kitabevi store on Istiklal Caddes, my exact type of fun store. I´m sure the anniversary gift you got looks great! Must send pictures of its present location. And the food, last but most importante of all, looks incredibly tasty. Great great pictures!!!! !